It's SALE time again! 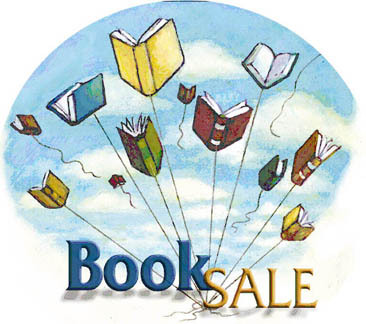 Time to dive into the thousands of overstock used books that will be priced $.40 - $1.00 It's the perfect opportunity to stock up on old favorites, or be adventurous and try new authors. At these prices, you can't lose! We put more books out every night until they're gone, so plan to drop by more than once. You never know what you'll find! *Sale books are on designated tables, and in boxes on the floor. Regular inventory is not included. All sale books will be marked on the bottom of the book. If it doesn't have a mark on the bottom, it's NOT a sale book! **Used book credit does not apply.